Oticon has been a world leader in hearing care since 1904. Since then, Oticon has delivered state-of-the-art hearing aids to people around the world, which is also mirrored in their corporate promise – “People first”. To maintain a high level of quality, Oticon continuously conducts tests on its hearing aids. 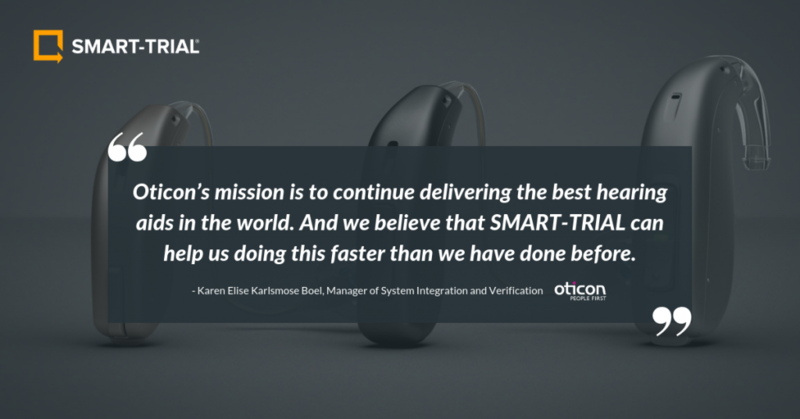 For the past two years, Oticon has been using SMART-TRIAL to manage data for these tests, and the result of this collaboration represents the value that SMART-TRIAL is providing the MedTech industry. Oticon was using outdated methods of data collection, which included paper-based forms, and survey software. Along with paper come several challenges. Most of the challenges are common in the MedTech industry. To address these challenges Oticon decided to transition from paper to an EDC solution. A system that could improve the data collection process and minimize and/or eliminate the use of paper. Furthermore, a system that would adhere to industry standards and regulations. Collectively, this led them to choose SMART-TRIAL. To resolve the challenges they faced it was necessary to ensure that the transition to the SMART-TRIAL platform was smooth. For which a dedicated onboarding period was planned. Hence, the transition began with workshops where the Oticon team was thoroughly introduced to the platform. The workshop also focused on solutions to the above-mentioned challenges. Today, the SMART-TRIAL platform is being used for all clinical validation at Oticon, which enables them to efficiently manage and collect their data. Oticon undertakes multiple clinical tests on its hearing devices every year. Each test lasts several weeks, depending upon the complexity, and can involve a various number of recruits. Having implemented SMART-TRIAL in its clinical operations, the firm estimates a return on investment (ROI) at 136% in the first 24 months, and over 270% after two years. Furthermore, the number of hours, spent on printing and transcribing data have substantially reduced from over 1,500 hours each year to just eight. And around 23.625 printed forms saved per year. 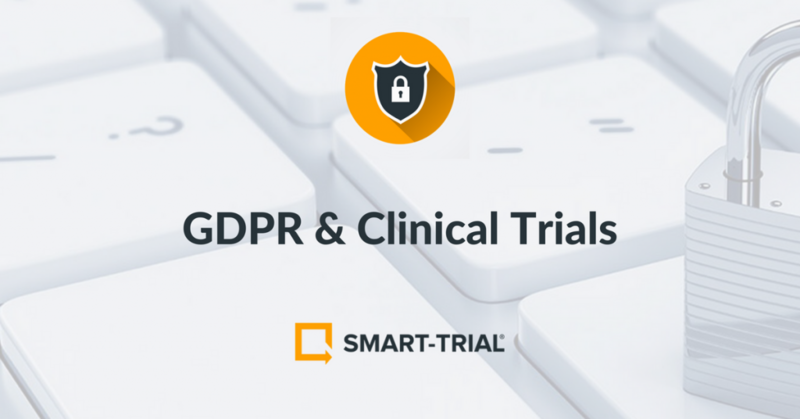 In addition to the quantitative results, Oticon also found that SMART-TRIAL helped to improve overview, internal communication, data security, subject compliance rates and, status reporting. 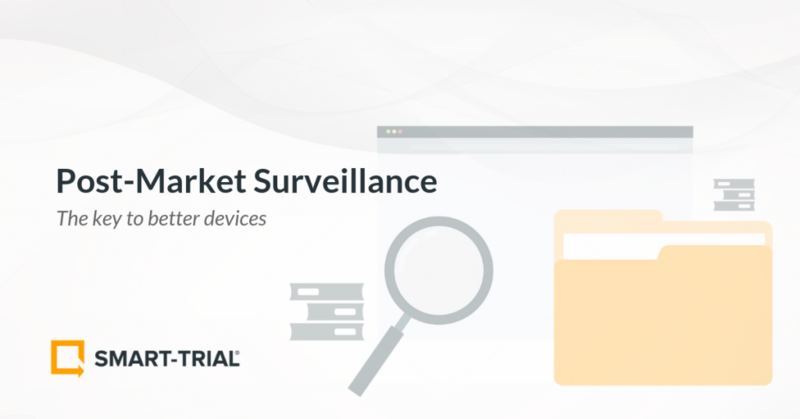 Furthermore, enabling better compliance with medical device regulations for both European CE-mark and the FDA. Conclusively, Oticon’s example demonstrates the efficiencies and economies that the medical device industry can achieve by moving to smart data management solutions. SMART-TRIAL’s goal is to reduce operational chaos and reduce cost, by improving the collection and management of data. SMART-TRIAL is driving the medical device industry into the digital-driven era and trusted by leading medical device companies around the world. Discover data management the SMART-TRIAL way!